Welcome to the British Museum, home to Lottie Lipton: nine-year-old investigator extraordinaire! 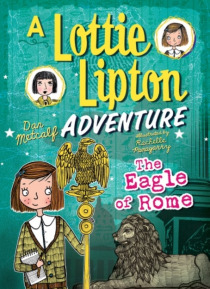 Lady Viola Kirton, the famous treasure hunter, is on the trail of a legendary Roman eagle. But she wants to sell it, and Lottie Lipton knows it belongs in a museum. Can Lottie win the race to find the eagle?